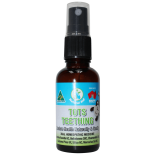 A safe and natural toy ideal for irritable teething babies and painful gums! 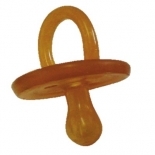 Soothers are also available in orthodontic and round shapes. 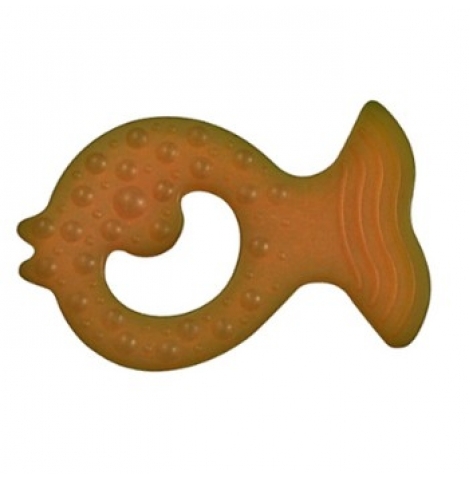 The protein, that on rare occasions can cause a latex allergy, is removed from the rubber mass used for these teethers. This means NO risk of latex allergy. 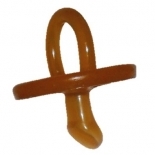 All makeUwell teethers and soothers are European Union (EU) certified for safety, health and environment. 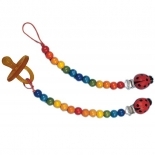 The teether will change colour slightly after use, this is a normal feature of natural rubber.